Our Shul is warm, welcoming, open to all and a hub of activity where people of all levels of knowledge and observance can participate and feel at home. Our services are lively and inclusive and children are encouraged to participate. On Shabbat morning our service is followed by a Kiddush Buffet. 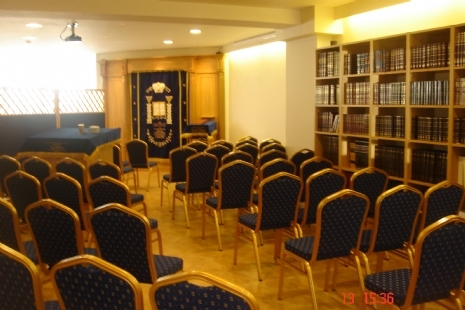 If you have been seeking a synagogue and community where you can feel a sense of true belonging, then Chabad of Bournemouth should be the end of your search. The friendship, joy and acceptance for all, are our most basic ingredients. You’ll find the services spiritually uplifting and meaningful, plus sermons that are relevant, inspirational and topical. Come and spend a Shabbos with us and see for yourself. Ask about celebrating a Bar or Bat Mitzvah with us – whatever the occasion, we can help you celebrate in style.